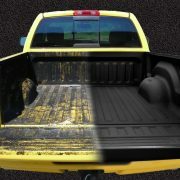 Spray-in bed liners in Utah, also commonly called spray-on bed liners are a must if you plan on protecting your truck bed. 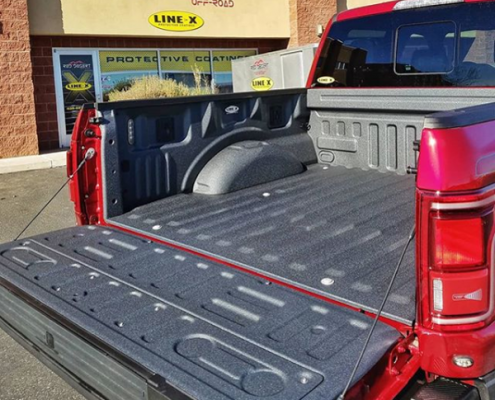 While there are many popular bed liners available today, not many can hold up against the durable, everlasting capabilities of a LINE-X bed liner. Don’t just take our word for it though, check out this video from the guys at How Ridiculous, who spray everything from an egg to a watermelon with LINE-X’s spray-on formula and then drop it from a 150 ft. tower, in an effort to prove our truly indestructible LINE-X’s patented spray-on formula is. You can find the full article about the indestructible nature of LINE-X from Popular Mechanics, here. If you’ve owned your truck for even a short period of time you know how quickly the bed of a truck can develop scratches, dents, and other damage from the elements, along with hauling any type of cargo. 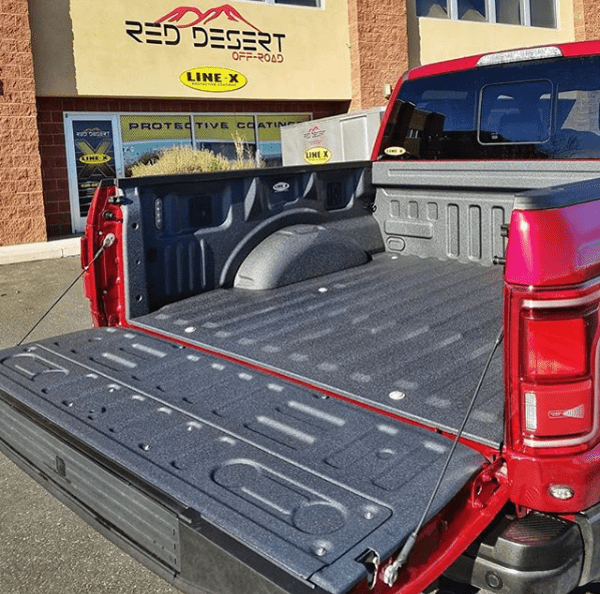 Due to the ease in which truck beds manifest damage, many truck owners buy some sort of protection for their truck bed, either in the form of a bedliner or bed mat. 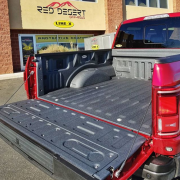 Since all truck bed protection accessories are designed with a durable surface created to protect and dissuade cargo from moving, choosing between a bedliner and a bed mat can sometimes be confusing. Below, you’ll find relevant information regarding bed mats and bedliners and the advantages and disadvantages that each offer. 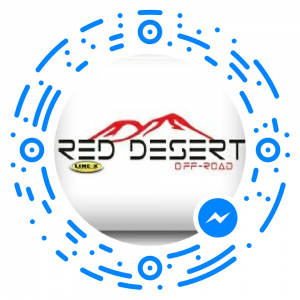 https://www.reddesertoffroad.com/wp-content/uploads/2018/09/LINE-X_XTRA_in_Magnetic_Grey.png 594 600 Alexa Pulley https://reddesertoffroad.com/wp-content/uploads/2016/01/red-desert-offroad-southern-utah.png Alexa Pulley2018-11-02 15:50:242019-01-31 09:56:27Bedliners Vs. Bed Mats: Which One Should You Get?